Kristin Buller is a Licensed Clinical Social Worker (LCSW) in private practice in Chicago, providing therapy and veterinary social work services. In addition to her clinical social work training at University of Chicago, Kristin was educated at CanineLink Academy (now FetchFind) in dog behavior and recently completed her certification in veterinary social work (VSW-CP) from the University of Tennessee. As a component of the VSW-CP, Kristin completed her externship under Kelly Ballantyne, DVM, Diplomate, American College of Veterinary Behaviorists, at Medical District Veterinary Clinic. 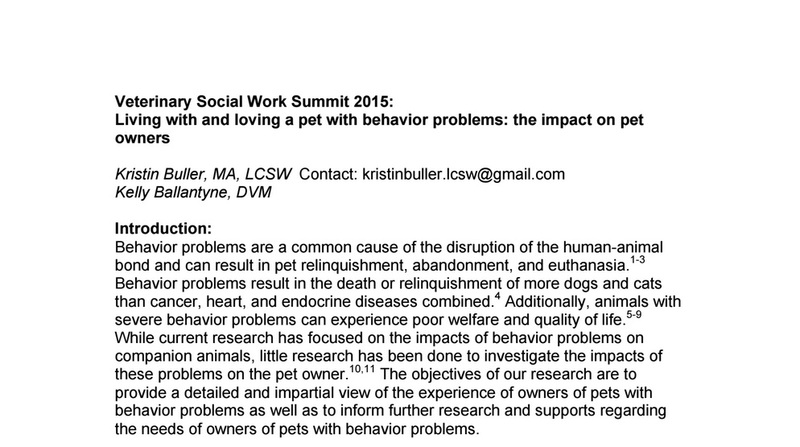 Their ongoing research focuses on the impact of pet behavior problems on owners and the range of ways to support them and have presented their research at the International Association of Animal Behavior Consultants (IAABC) Conference and the Veterinary Social Work and Wellness Summit. They are authors of an article on the experience of veterinarians in behavior practice published in the Journal of Veterinary Behavior. 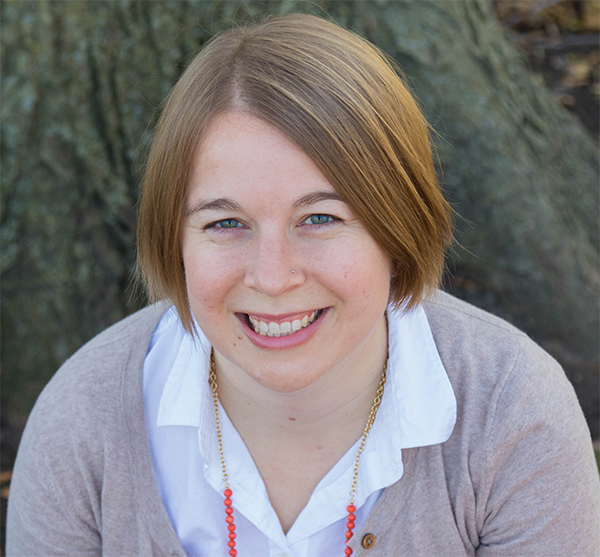 Kristin has done presentations on compassion fatigue for veterinary clinics in Chicago, the Society for Veterinary Behavior Technicians, and the Humane Society of Missouri, and has taught a course on data collection and case evaluation for the IAABC. She also has presented on the human-animal bond at the School of the Art Institute of Chicago and at Lurie’s Children’s Hospital. Kristin provides emotional support to pet owners through counseling and support groups for people loving and living with “special needs” pets, those facing difficult decisions regarding their pets, and walking through the grief and loss of a pet. Kristin specializes in helping people navigate how the behavior problems of their pet impact their own life, by providing holistic support to both pet and owner in close collaboration with veterinarians and trainers. Kristin creates a safe space for pet owners to feel comfortable sharing the joys and the stresses that are part of the human-animal bond. For those working in roles caring for animals, Kristin provides consultations for complex cases where additional emotional support is needed for the pet owner. Kristin is also available to conduct presentations on the following topics: supporting pet owners in emotional distress, the human-animal bond, pet grief and loss, compassion fatigue and self-care, and also provides therapy to pet professionals. Please feel free to contact Kristin with any questions that you have!